There are many wonderful churches in Greensboro. 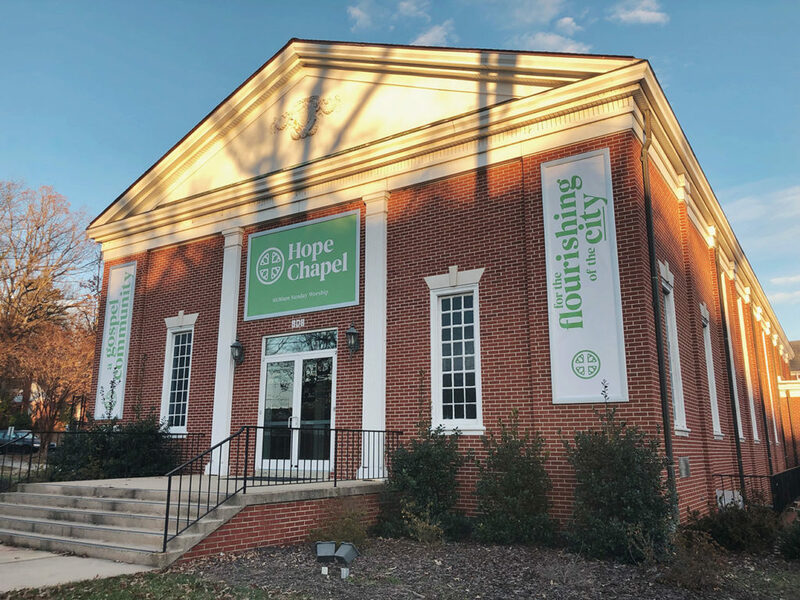 We’re thankful that you’re considering a visit to Hope Chapel and hope that the following details will help you feel comfortable and know what to expect. We look foward to meeting you! We are located at 908 N. Josephine Boyd St, (formerly Westover Terrace), directly across the street from Grimsley High School. Visitor parking is available on the right as you pull in. If you have children, you’ll want to head to the entrance beside the playground first. Here you’ll be able to register your kids (more details below). Then we hope you’ll make your way through the sanctuary and up to the main lobby where you can get some coffee/tea and something to eat. If you do not have kids, enter the main lobby (front of the building, toward the street). If you are interested in visiting a community group, there is info about those on the wall beside the coffee bar. You’ll also find some information about ways that we serve Greensboro. Kids of all ages are encouraged to participate in worship as fully as they can. 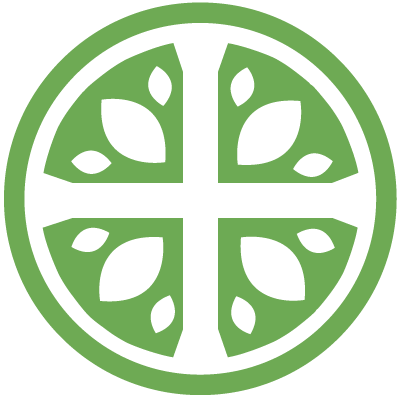 We do offer childcare for the duration of the worship service for children 0-24 months and a preschool ministry for children who are 2-5 years old. Children in grades K-5th are dismissed midway through the worship service for age-appropriate classes. 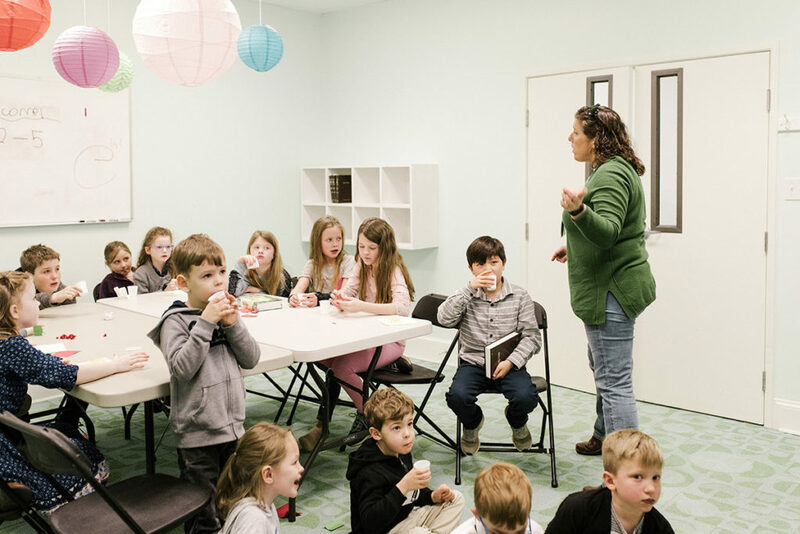 Using the Gospel Project curriculum, our teachers lead their classes through engaging and comprehensive Biblical teaching and discussion. We use a system called Planning Center Online for kids check-in. When you arrive you’ll give some basic information and then receive a printed nametag for you and your child (these are used for pickup). We’ll always have a volunteer available to help with this process, so feel free to ask questions. We take your child’s wellbeing seriously and want you to feel comfortable with the process. There is a nursing moms room available to the left as you enter the childrens wing. 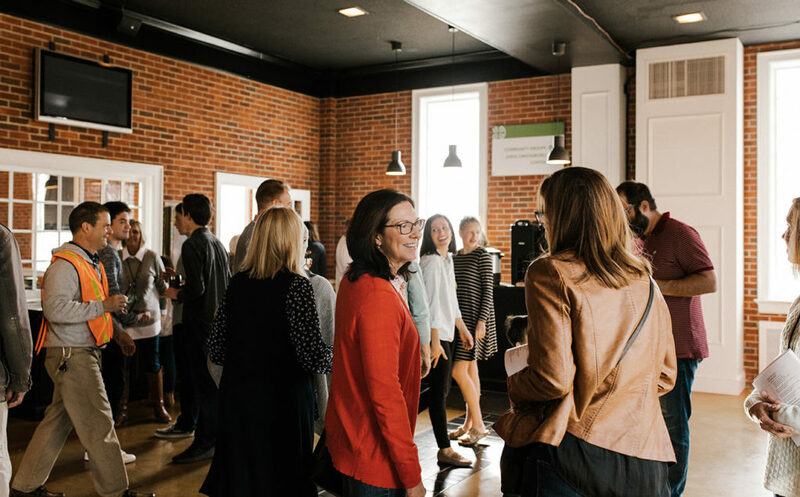 We believe worship is an essential part of human flourishing. Our order-of-worship, or liturgy (which means “the work of the people”), takes us through an ancient narrative journey. It is a still-unfolding story of God’s rescue and restoration of everything. 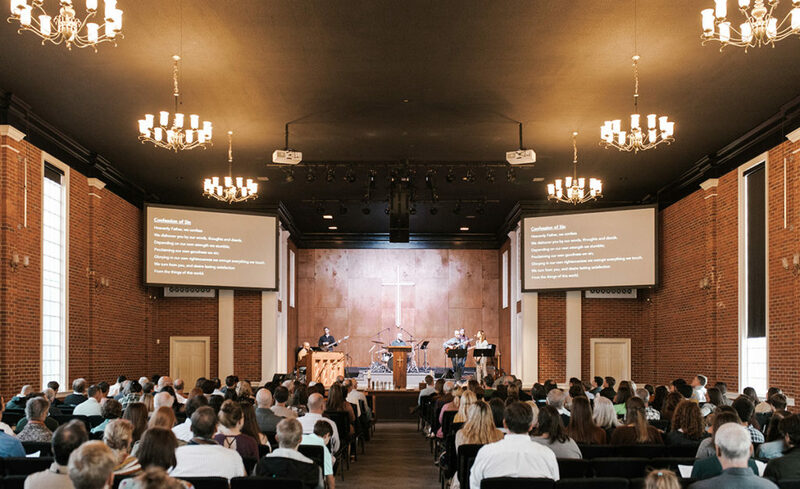 Using songs, prayers, Scripture readings, teaching, communion, and other elements, we experience and celebrate together the gospel – the “good news” of Jesus Christ. Feel free to participate as much or as little as you would like. In our worship guide, we provide some explanations of the different parts of the liturgy, as well as words for all the prayers and songs. We hope those will be helpful to you as you experience a (perhaps) unfamiliar order of worship. We seek to incorporate music from a variety of times and traditions, both modern and ancient. This reminds us that the community with whom we worship is both large and diverse. We join our voices with all those throughout the ages and around the world who worship Jesus as Lord.